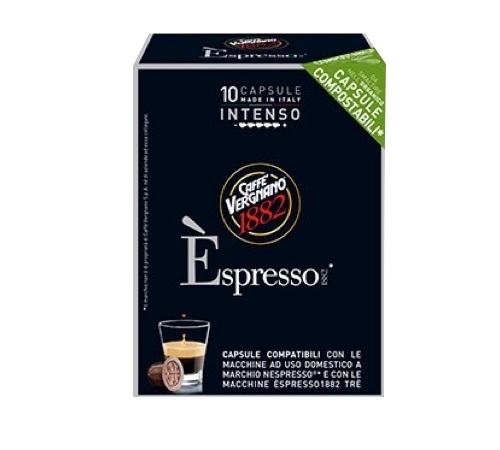 Discover these biodegradable capsules Espresso Intenso capsules from Caffe Vergnano. The strongest intensity capsule in the range, creamy, this coffee unleashes dark chocolate flavours. The capsules are compatible with Nespresso® machines. Comes in a box of 10 capsules.